From 1 March, the annual production volume of sawn timber at the Mönsterås sawmill will increase by 100,000 m³. This will require a third shift and approximately 30 new employees. “The journey of change undertaken by Södra’s sawmills in recent years is now yielding results in terms of more competitive production and a better offering to our customers,” said Jörgen Lindquist, President of the Södra Wood business area. 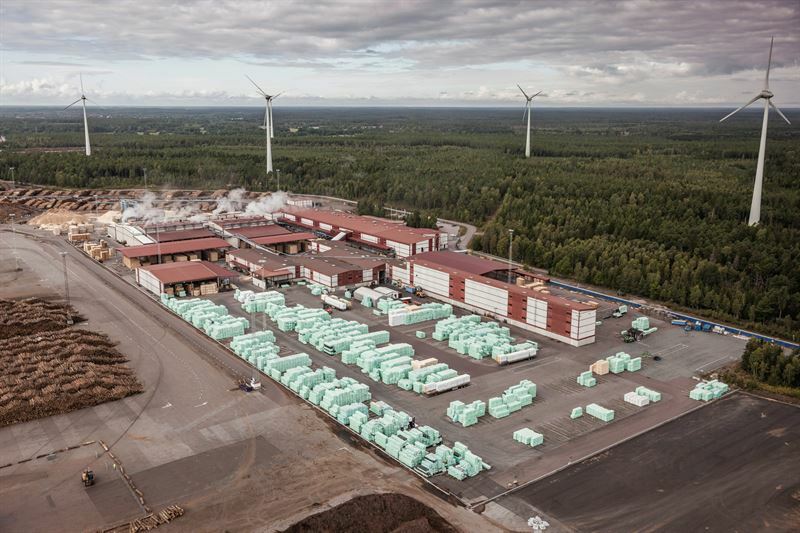 Over the past two years, Södra has implemented structural changes in its sawmill operations to strengthen the company’s long-term competitiveness. The market outlook is bright and sustainable construction is driving the interest in timber as a building material. The underlying demand for sawn timber is high. “With our focus to grow with our customers, we need to increase production at Mönsterås to meet demand” said Jörgen Lindquist. The proportion of timber-frame buildings is growing all over Europe. Due to the positive environmental effects, combined with construction efficiency and reduced transportation, interest in timber-frame construction is rising. “This is one of the reasons why we have entered the timber building system segment and are investing in a cross-laminated timber (CLT) facility at our sawmill at Värö. Production at the new facility will require a certain volume from the sawmill at Värö. The higher volume at Mönsterås will offset some of the volume we will use in CLT production. Our acquisition of the UK sales company Södra Wood Ltd has also improved our market potential,” said Jörgen Lindquist. “We see a very bright future and believe it is built with timber,” said Jörgen Lindquist. Södra was founded in 1938 and is the largest forest-owner association in Sweden, with a membership of close to 52,000 forest owners. Södra is also an international forest industry Group, with 3,400 employees around the world. Net sales in 2017 were 20.5 SEK billion. Balancing production efficiency with nature conservation guides everything that we do. We produce timber, interior wood products, pulp for paper and textiles, and green energy. We use every part of the tree, and are always looking to develop new products from this fantastic, renewable raw material. Södra is a world-leading producer of market pulp and also owns one of the largest sawmill operations in Europe. Through value-generating relationships and a long-term approach, Södra is leading the way for the future of sustainable forestry. The journey of change undertaken by Södra’s sawmills in recent years is now yielding results in terms of more competitive production and a better offering to our customers. Jörgen Lindquist, President of the Södra Wood business area.